A fun way for most ages to try their balancing and agility skills against each other to Altamont victory in G-Force Sumo Wrestling. 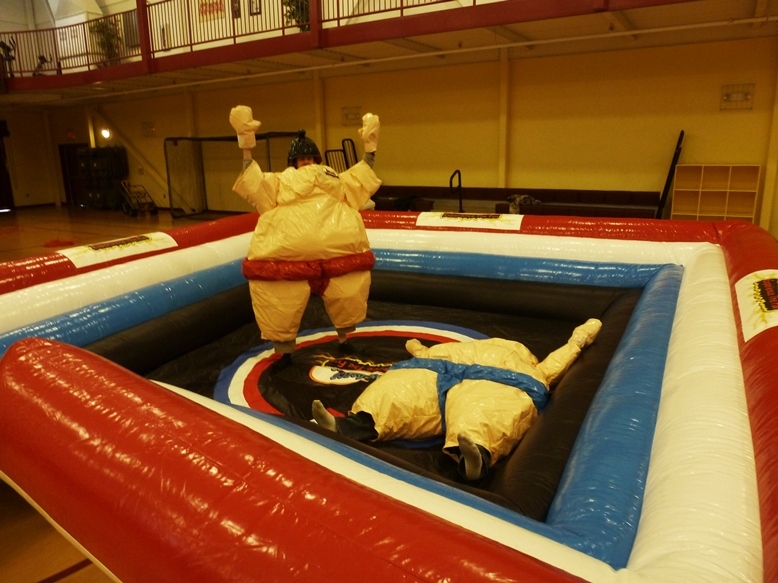 Description: Spice Up Your Event with G-Force Sumo Wrestling! 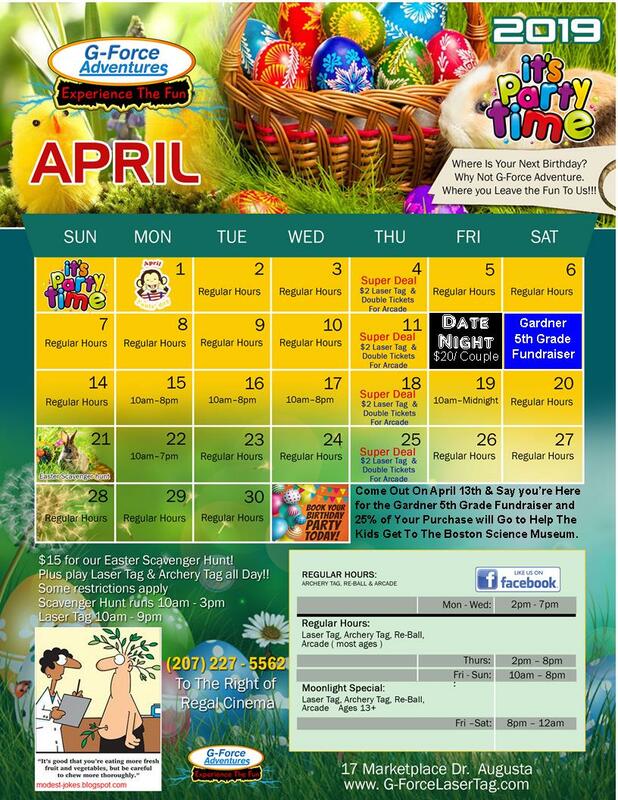 It will make you laugh your you know what off. 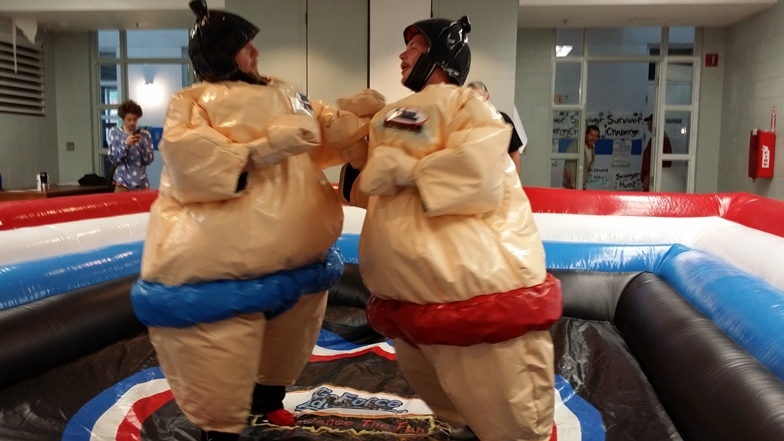 Our Sumo Wrestler game is complete with 2 sets of suits for a faster through play. 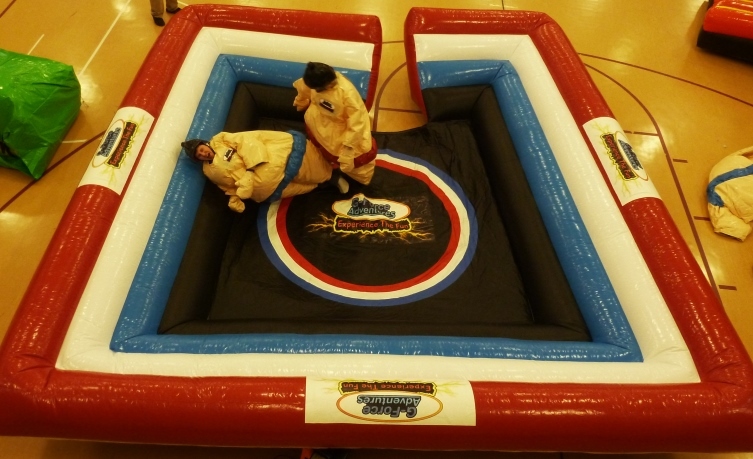 G-Force Sumo Wrestling includes an inflated wrestling ring and mat. This game is for two (2) people at a time. 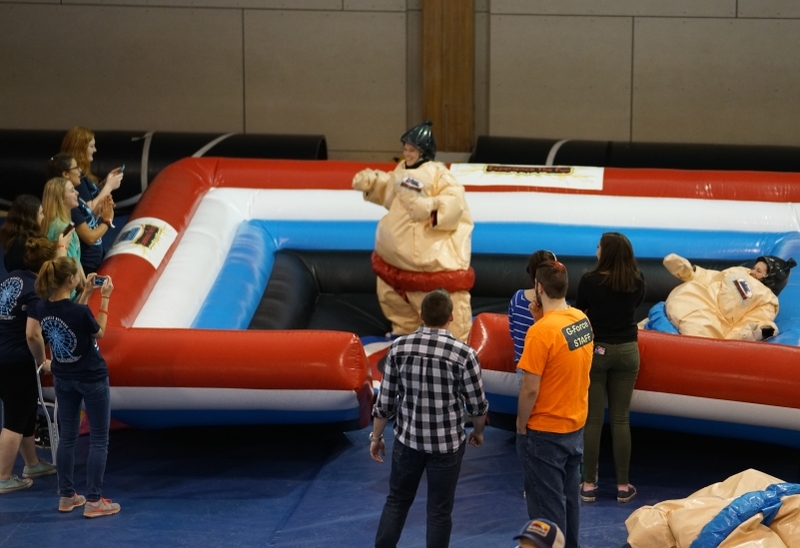 Players climb in to our Sumo Arena wearing there Large Sumo Wrestling suits. Using there bellies they try to knock over each other to gain points for the win. How Many People can Play Per Match? This unit requires one separate 110 Volt outlets on 1 separate 20 amp circuit breakers. Sumo Wrestling is a two person game. 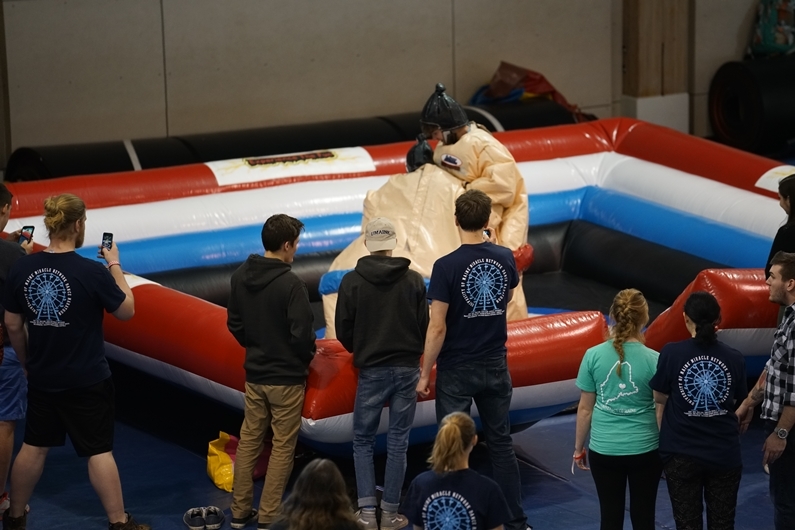 Each Player wears head gear, gloves and a yes a large sumo suit so you can battle with your opponent in a Sumo Wrestling Arena. The first to reach 3 points in 3 ~ 5 rounds wins the round. We are not a drop and run service. You can either have us run all of the equipment rented from us or have a member of our staff train your volunters to safetly man the equipment. A G-Force Representive will always on site for any questions. We also bring backup blowers and patch kits just in case of equipment issues. 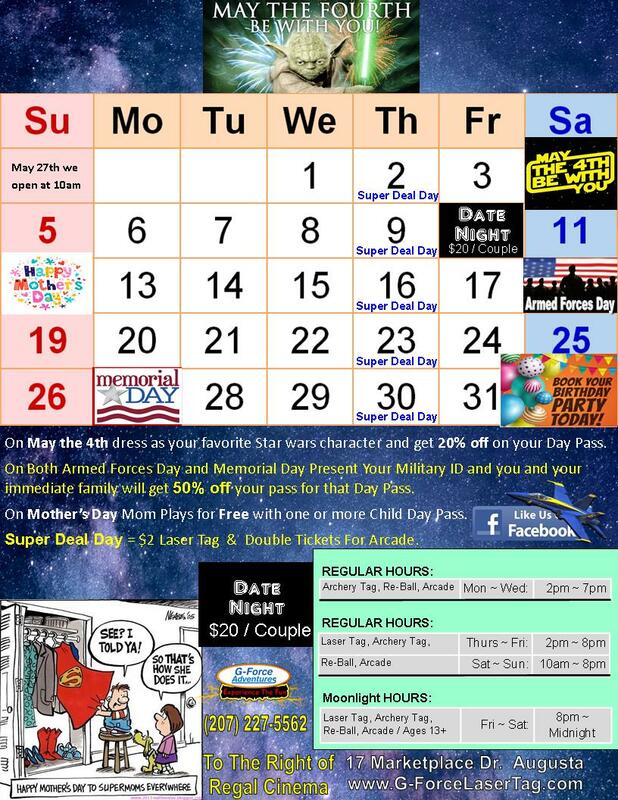 G-Force Laser Tag We Travel to You Anywhere On Our Planet For a G-Force Sumo Wrestling Events.